Very few cars are as iconic in American automotive history like the Chevrolet Corvette. The 1972 Corvette Stingray is a prime example. In this article, we are going to take a look at the history of the Corvette and how the 1972 Corvette became such a popular model for car enthusiasts. We are also going to cover specs, features, where you can find support for your 1972 Corvette and what value this model holds today. Pictured below is a beautifully restored example of probably what people think is the most popular color for the 1972 Corvette, however it’s not! 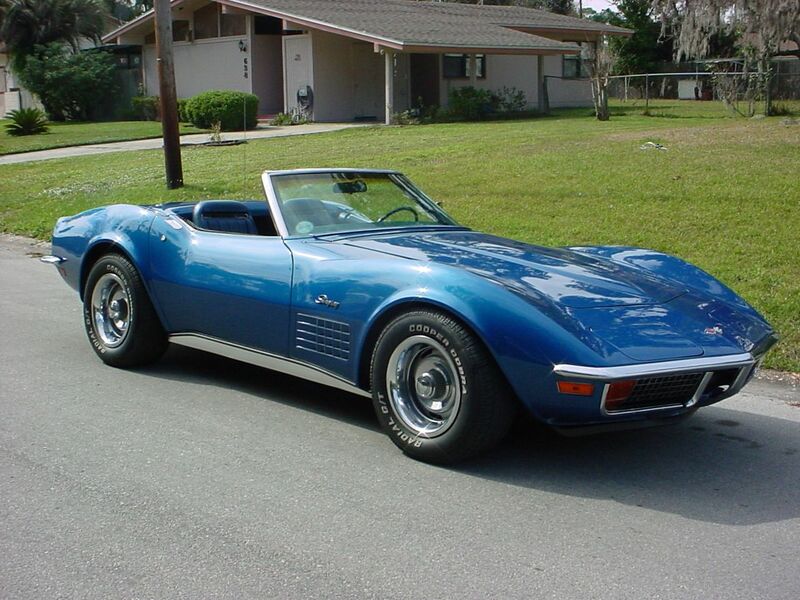 Can you guess what color Corvette was produced in for 1972? The answer is below. The differences between the 1971 and the 1972 Stingray are minimal. Corvettes 1971 model was the last model to feature fiber optic warning lights while the 1972 Stingray was the first to have amber-colored front turn signals and a chrome egg-crate grill. The 1972 Stingray was also the last production year for chrome front and rear bumpers. An interesting fact: the 1971 model had more horsepower than the 1972 Stingray. Beyond these minor differences, the ‘71 and ‘72 models were basically the same thing. Both models were available in either a convertible coupe body style or a sports coupe body style. Many Stingray fans refer to the convertible as a roadster. However, with roll-up windows and windshield that is fixed, this model was a true convertible. For exterior colors, the consumer had ten options to chose from: Sunflower Yellow, War Bonnet Yellow, Pewter Silver, Steel Cities Gray, Bryer Blue, Targa Blue, Ontario Orange, Mille Miglia Red, Elkhart Green, and Classic White. Out of all the exterior color options, Ontario Orange was the most produced, at nearly 5,000. Only 1,372 were produced in Pewter Silver. Interior colors came in fewer options with only two leather options, Saddle and Black, and only five vinyl options, Black, Dark Green, Saddle, and Red. In 1972, the Stingray was made available with several options. Let’s take a look at some of the more popular options consumers selected or collectors are looking for. The Sports Coupe body style was more expensive but also more popular than the Convertible models. The convenience of having a closed car that was sporty and attractive helped to make the 1972 Stingray one of America’s most favorite cars, beating out competition from British manufacturers. Even with a higher price tag, the Sports Coupe racked up nearly 20,500 units sold in 1972! In 1972, this engine option was not overly available, only 20 of these units were produced. It was the most costly of all options for this model year. 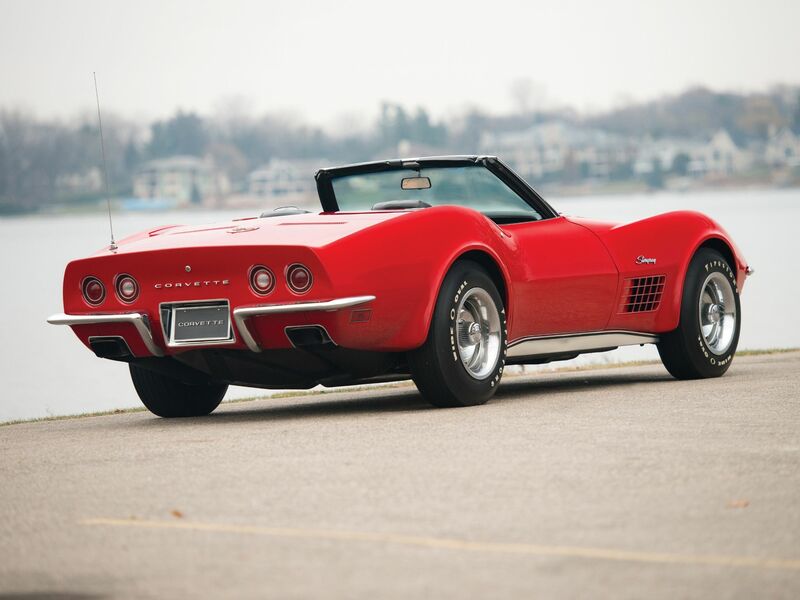 This is one of the rarest Corvettes models available, along with the 25 from 1970 and only 8 from 1971. This option came equipped with the LT-1 engine, J-56 brake package, heavy-duty F-41 suspension, the M-22 Rockcrusher transmission, and radio delete. 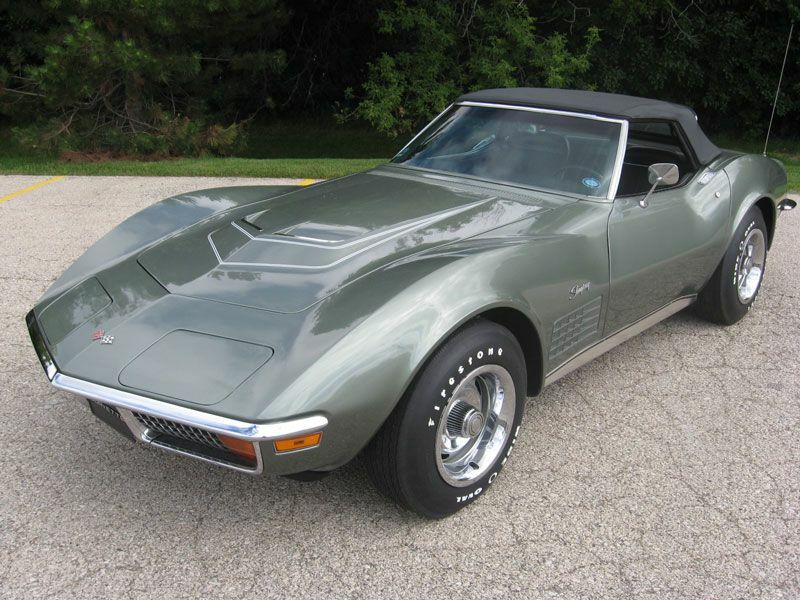 The most important feature that came on the 1972 ZR1 Stingrays was an expansion tank which no other LT-1 Corvette had. This package pushed the boundaries when compared to other Corvettes, or other muscle cars for that matter. Many consumers wanted a Stingray that provided excitement without going over-the-top, like with the ZR1. Therefore, the LS5, 454 engine option made it one of the most popular choices for the 1972 Stingray. Compared to the tamer 250 HP ZQ3 350 V-8, the LS5 454 offered drivers with 270 HP at just under $300 in additional cost. While not as popular as the Sports Coupe, Chevrolet still managed to produce 6,508 units in the convertible model allowing the convertible to still leave its mark on the industry. Many manufacturers would be inclined to charge a lot more for a convertible model, however this was not the case with the 1972 Corvette Stingray. The base convertible model was $237 less than it’s cousin, the 2-door hard top sports coupe. The convertible weighed the same as its sports coupe cousin and was available with an auxiliary hardtop at an option price of $273.85 and 2,646 orders were filled for 1972. Additionally, the auxiliary hardtop was available with a vinyl covering and the soft tops were available in either white or black. Other available options for the 1972 Corvette were air conditioning ($464.50), power brakes ($47.40), tilt-telescopic steering column ($84.30), power steering ($115.90), am/fm radio ($178.00), white letter tires ($43.65), and a turbo hydra-matic automatic transmission. The last item mentioned was a very popular option, out producing the 4-speed manual transmission by almost 14-1, however neither automatic or manual transmissions would set the customer back any additional dollars because these were a $0.00 option! The nose of our beloved C3 was more pointed than it’s former C2 models and would continue the iconic pop up headlights that were originally introduced on the 1963 Corvette Stingray. These hidden headlights, as they are also known, would be around for two more generations on the C4 and up until the end of the C5 model year of 2004! All total the pop up headlights hailed the Corvette tradition for 41 years (minus the never produced 1983 model year). When it comes to classic cars, the most beloved Corvette models that most folks enjoy and remember are the hidden headlight Corvettes mainly due to their longevity on the Corvette and the sleekness and sexiness they produce for the vehicle! No other American made classic car enjoys such a long, long history of uniqueness as does the Corvette. The current value for the baseline Sports Coupe ‘72 Stingray is around $41,000 in mint, all original condition. The LT1 is significantly more if it’s in the same mint condition at $62,600. The LS5 is around $55,000 while the LS5 convertible is currently up to $81,600. If you are lucky enough to have one of the very rare ZR1 Stingrays, the average price tag is between $135,000 to $150,000. And, oh by the way, good luck in trying to find one or find someone that is willing to sell it! CarGurus.com. This website features a plethora of information for all topics automotive. If you have any questions, you can post your question in a forum and get answers from other fans and professionals. Vettehound.com. If you are looking to buy your own Stingray, you might want to try VetteHound.com. This site specializes in helping connect buyers with people looking to sell their C1 to C6 Vettes. Corvettecentral.com. For those in the process of restoring their 1972 Corvette Stingray, you may be looking for a place to find original replacement parts. While eBay and similar sites are a good starting point, CorvetteCentral.com deals only in Corvette parts. If you want to turn your vintage ride into an eye-catching street machine with plenty of add-on parts, the 1972 Corvette is a great option. The market is loaded with aftermarket parts. You can easily turn this car from a vintage appearance to futuristic pavement pounder. Vertical door kits, polished engine components, ground effects kits, carbon fiber body components, you name it and you can find it for this car. Looking back at the history of the 1972 Corvette Stingray, it is easy to see why it is so coveted by automotive enthusiast and collectors. With plenty of power and style, this car is sure to remain an icon for as long as there are automobiles.